Manufacturing companies in Utah continue to expand, according to new data collected by IndustryNet, adding nearly 2,400 jobs in the past year alone. Altogether, Utah has gained more than 25,000 industrial jobs since September of 2010, and now accounts for more jobs than it had during the recession – a milestone few states have achieved. Echoing similar progress recorded in other Western states like Colorado and Arizona, Utah’s pro-business environment combined with a skilled workforce and a focus on technology and innovation has galvanized the state’s industrial sector, helping to create jobs for a seventh straight year. This article will examine how manufacturing in Utah has evolved over the years, delving into city, county, regional, and historical data collected by IndustryNet. We’ll also examine some of the challenges faced by the state's manufacturers, and explore Utah's industrial outlook. The state’s chemical processing industry was the star of this year’s survey, posting a 2.5% increase in employment. The chemical industry ranks as the state’s third-largest sector by industrial employment, with 17,504 workers. So what’s behind Utah’s remarkable success? Utah boasts one of the most favorable regulatory climates in the nation, and its overall cost of doing business is low. This, combined with a skilled labor pool and solid infrastructure, has helped the state attract new business, and has made it easier for existing manufacturers to expand. Utah is known as the “Beehive State” because of the industriousness of its people, and now more than ever, an educated and skilled workforce is crucial to a thriving industrial sector. In 2016, Utah was named America’s best state for business by CNBC, and the state has starred on a number of other “top 10” lists, ranking first for business and careers in Forbes Magazine as well as first for Clean Energy Job Creation by Environmental Entrepreneurs. Utah ranked third in the nation for broadband speed by Akaimi, while Ogden ranked first in the U.S. for greatest income equality by Newsweek (Provo was fifth). Utah is known for its highly-educated workforce, though manufacturing growth has been so rapid that the state struggles to keep up with the greater demand for skilled workers. To address this concern, programs like Utah Aerospace Pathways are partnering with the state’s major aeronautics firms, such as Boeing, Harris and Orbital ATK to prepare high school students for careers in aerospace manufacturing, while the STEM Action Center has gone a long way in helping to develop a workforce with the skills needed to serve Utah’s booming economy. Also, recent data shows apprenticeship training programs have seen a boost in enrollment, after employing social media campaigns to educate and attract millennials to manufacturing careers in the state. Exports are an integral part of Utah’s booming industrial sector, with the state recently reaching a milestone of $3 billion in exports for the first quarter of 2017. Utah is one of the few states to harbor a trade surplus, with electronics and software a top export category. According to the University of Utah’s 2017 Economic Report to the Governor, Utah’s exports have grown by 96% between 2006 and 2015, which is the fourth-highest rate of growth in the nation. And while Utah’s philosophy is generally to stay out of the way of business, when it comes to its abundant business incentives and resources, the state is heavily invested. 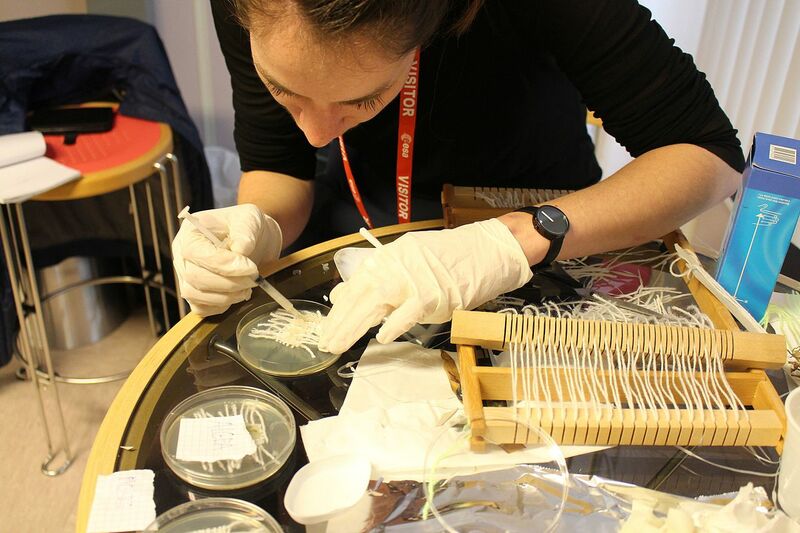 The Technology Commercialization and Innovation Program helps accelerate the commercialization of innovative technologies, and general fosters growth in advanced manufacturing. Other resources include a Procurement Technical Assistance Center, rural development grants, and a number of business credits geared toward helping Utah companies expand. Manufacturers looking to set up shop in Utah benefit from a number of resources for new businesses, including a 7-step guide to opening a business in Utah. 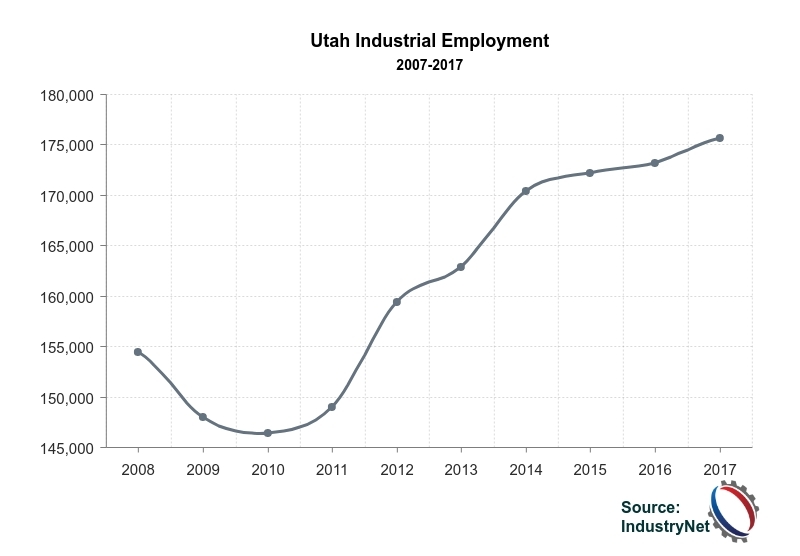 Next, we’ll take a look at the meteoric rise of Utah’s industrial sector in the years following the recession, highlighting some of the major developments tracked by IndustryNet. 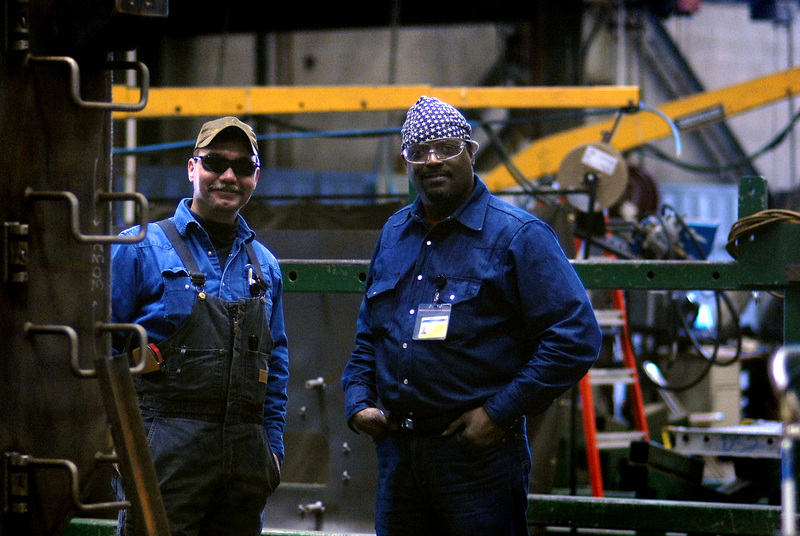 A decade ago, Utah industrial companies employed 153,928 in the state. Today, that number stands at 175,637. Utah is one of the few states in the nation to surpass pre-recession employment levels. The 2008-2009 survey period, however, was not a good year for Utah’s industrial sector, which shed more than 4,000 jobs. This stands as the sharpest loss IndustryNet has ever recorded in the state’s history. However, a glimmer of hope remained for the state when some surprising new export data was released that year. The increase in Utah’s exports over a four-year period was the 8th highest in the nation, rising a remarkable 118% from 2004-2008. This was a marginally better year for Utah’s industrial sector. Like many states across the nation at that time, success was measured by the slowing of job losses rather than the accelerating of gains, and Utah was no exception. The state shed less than half the jobs it had the previous year, with sectors related to the housing industry experiencing some of the sharpest declines with lumber/wood down 13%; stone /clay/glass down 6.5%; and furniture/fixtures down 3.6%. However, the state’s chemical industry managed to add jobs, up 3.6% in this year, and a few new plant announcements suggested Utah may have hit a turning point. Alliant Techsystems announced it would build a factory in Clearfield for the manufacture of aircraft component structures; Janicki Industries established an aircraft parts plant in Layton; Northrop Grumman expanded its Salt Lake City facility, while heart valve manufacturer Edwards Lifesciences announced it would expand its factory in Draper. Utah manufacturing began to pick up speed in this year, with the state recovering all the jobs it had lost the previous year. Industrial employment in Utah increased 1.6% as strong exports and a favorable business climate helped to jolt the state’s manufacturing sector back to life. 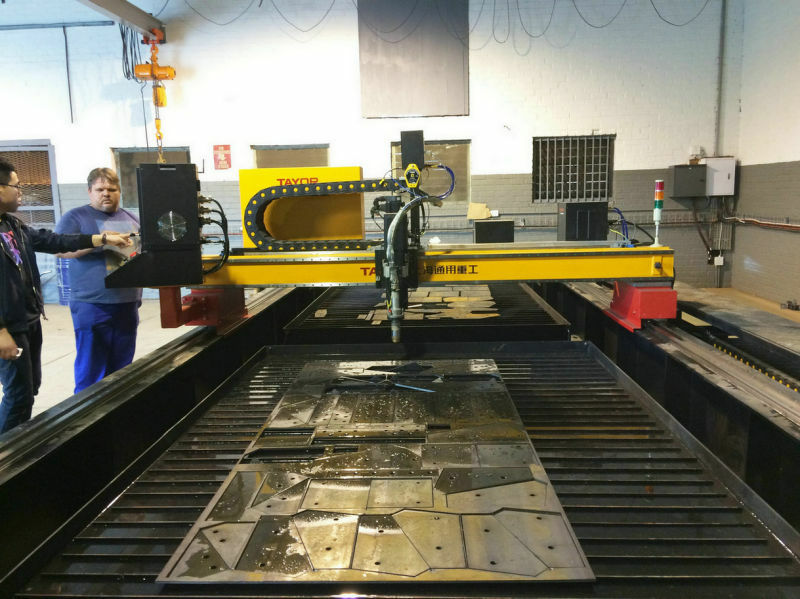 An astounding number of new manufacturing facilities were announced that year. Procter & Gamble’s established a new plant in Box Elder; OSI Group broke ground on a dry sausage factory in West Jordan; and Boeing announced a new assembly line in Salt Lake City. Expansions were also afoot, with JBS USA Holdings Inc. investing in its meatpacking and processing facility in Hyrum, and Morgantown Machine & Hydraulics (now Swanson Industries) expanding its hydraulic component factory in Helper. Food processing, the state’s largest sector by industrial employment surged 2.8%, and double-digit increases were seen in electronics and furniture as those markets began to recover. In this year, Utah’s industrial employment surged another 1.7%, with gains reported across the board, most significantly in medical instruments; electronics; and chemicals. The state had gained a reputation for maintaining a winning mix of favorable site selection factors, drawing a number of enterprises, both foreign and domestic, to its borders. We saw the expansion of over Pepperidge Farm’s cracker facility in Richmond, as well as Vexxel Composites in Brigham City; BioFire Diagnostics in Salt Lake City; and Futura Industries in Clearfield. This was a great year for Utah’s major cities, with Salt Lake City posting a job increase of 1.5%, Ogden up 1%; Provo up 3.2%; and Clearfield up 2%. In another win year for the state, Utah industrial employment edged up by 1.9%, adding more than 3,000 jobs, led by the chemical industry. The nation’s fracking boom had taken hold, which boosted employment in the state’s oil and gas extraction industry by 7%. Boeing unveiled plans to establish an aircraft components plant at the previously-shuttered KraftMaid cabinet making facility in West Jordan. West Liberty Foods expanded its facility in Tremonton, while Autoliv Inc. expanded its auto safety parts plants in Promontory and Tremonton. In addition, Nature Foods announced plans to open a pork processing plant in Box Elder County; SyberJet Aircraft unveiled its proposed assembly plant in Cedar City; and IM Flash, a joint venture of Intel and Micron, expanded hiring at its Lehi factory. In this year, Utah’s industrial sector really gained momentum, adding nearly 4,000 jobs, a gain of 2.2%. This generally outpaced the national average gain for manufacturing as a whole during this time period. The state’s booming oil/gas industry continued to boost manufacturing employment in the state, as did the food products industry, which posted a 5% job gain. Varian Medical Systems expanded its Salt Lake City plant that year, with plans to create 1,000 jobs over the next two decades. In addition, an oilseed crushing operation was established by Washakie Renewable Energy and Viracon re-opened its factory in St. George, following renewed demand for its architectural glass. Utah’s industrial sector hit a milestone in this year, surpassing its pre-recession employment levels after adding more than 3,500 jobs. As of September 2016, the state accounted for 174,171 manufacturing jobs, compared to the 165,000 jobs reported to IndustryNet in September 2007. Gains were led by the state’s chemical industry, which surged 7% in this year. Food processing employment also continued to gain ground, adding another 3.3%. Adding to this were double-digit gains in transportation equipment and furniture/fixtures. Medical instruments/related products grew by 6.7%, while primary metals, rubber/plastics and lumber posted solid gains. We saw Universal Forest Products establish a new plant in Magna, while Stadler U.S. announced plans to open a temporary manufacturing operation in the state. In addition, supplement maker 4Life established a new factory in Vineyard, and arrow maker Gold Tip expanded into a larger facility in American Fork. A number of new plants were announced in Utah over this past year, including pavement supply company SealMaster, which established a new facility in West Valley City and Mueller Industries, which announced plans to open a copper facility in Cedar City. In addition, Switzerland-based transportation company, Stadler, plans to establish a new train production plant in Salt Lake City, and POST Consumer Brands opened a new manufacturing and distribution facility in Salt Lake City. Several expansions were also announced, and included Procter & Gamble, which will add 200 jobs at its massive Box Elder paper products plant. Next, we’ll dig into the numbers and explore the top manufacturing cities, industries, and companies in the state of Utah. 1. Vivint, Inc. 5,000 employees. Vivint makes home automation system packages, including lighting and small appliance control panels, video surveillance, automatic door locks, smart thermostats, carbon monoxide and smoke alarms, plus motion and glass break detectors. 3. ICON Health & Fitness, Inc. 2,100 employees. CON manufactures commercial and home fitness equipment, including treadmills, exercise cycles, ellipticals and benches, as well as fitness accessories and apparel. 4. Merit Medical Systems, Inc. 2,000 employees. Merit makes proprietary disposable medical devices used in cardiology, radiology and endoscopy interventional & diagnostic procedures, including development and distribution. 5. Kennecott Utah Copper Corp: 2,000 employees. Copper ore mining. IndustryNet’s team of more than 80 researchers scours hundreds of sources to zero in on every manufacturer in the U.S. Each manufacturer is contacted multiple times annually to ensure its information remains up-to-date and complete. Our state-by-state industrial employment surveys are based on this data, allowing us to compare jobs counts in a given industry, state, region or city from year to year. To access detailed profiles of Utah’s 3,600 industrial companies and their 11,000 executives, learn more about IndustryNet’s EZ Select database subscription. Or, to connect with industrial suppliers in Utah and across the U.S. start your free search on IndustryNet. IndustryNet allows users to search and source more than ten thousand types of products, parts, supplies, and services for free. IndustryNet® lists every U.S. manufacturer plus thousands of wholesalers & distributors and industrial service providers.